How lovely are your turnovers. COMMENTARY — Dwayne is still recovering from a Thanksgiving food coma, so I am taking over this week. The Utes went up against the Buffaloes this week and came out with a 20-14 victory. Utah ends the regular season with an overall record of 9-3, and a 6-3 conference record for their best performance ever in the Pac-12. Not only that, they are bowl eligible! I want to give a special shout out to the Ute defense. They have worked hard and played well all season and played particularly well against Colorado. Throughout the game, they caused multiple turnovers, blocked a field goal, and in the second quarter, went through a stretch where they caused consecutive three-and-outs. 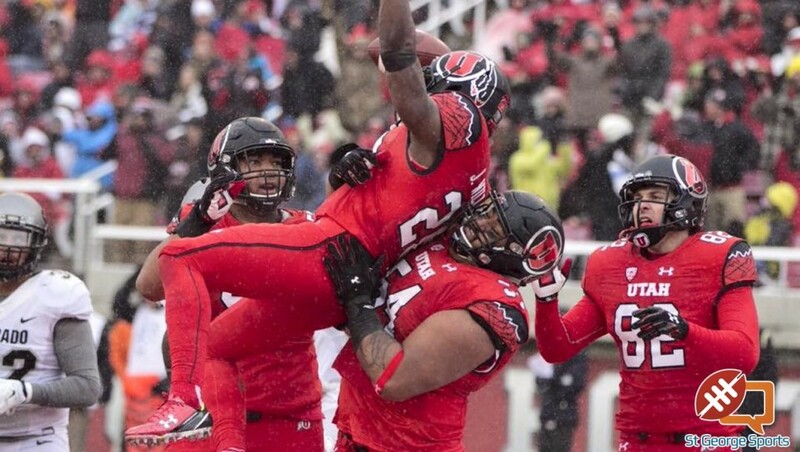 The score shows that it was close and in the end it was, but it’s not Utah defense’s fault that the offense wasn’t able to capitalize on the ample opportunities that they were given to create even more separation on the scoreboard. So congratulations to the Ute defense on a great season and really a congrats to the entire Utah team for having such a great season. With that said, the regular season is over and Bowl Season begins. The Utes will sit tight this week as they wait for bowl announcements on Sunday (Dec. 6). That is when Utah will discover its fate. Sadly, the Utes will not be going to the Pac 12 Championship game so the Rose Bowl is out of the question. My sister is now hoping that the stars align and that the Utes are selected for the Holiday Bowl in San Diego. This is the final hope that she has of making it to Disneyland for the holidays while Dwayne and I go to the bowl game. For those of you wondering what stars need to align, let’s go over it. Nothing is set in stone yet, but there is a real possibility that Utah may go to the Holiday Bowl. Stanford beat Notre Dame this past week, which means that if the Cardinal can win the Pac-12 Championship game next week, they will have an outside shot of sliding into the four-team college football playoff (admittedly unlikely, but still possible). If that happens, then the Utes have a much better shot of going to the Holiday Bowl. Bowl selections are a little bit tricky, so let’s start with the Pac-12 bowl tie-ins. After the Rose Bowl is the Alamo Bowl in San Antonio on January 2, 2016. Next up is the Holiday Bowl in San Diego on December 30, 2015. The remaining games consist of the Foster Farms Bowl in Santa Clara on Dec. 26, the Sun Bowl in El Paso on Dec. 26, the Las Vegas Bowl in, you guessed it, Las Vegas on Dec. 19, and the Cactus Bowl in Phoenix on Jan. 2. After the Rose Bowl takes the conference champ (or runner-up if the conference champ is in the four-team playoff), the Alamo, Holiday and Foster Farm Bowls, in that order get to select a team from the Pac-12. The selections are based primarily on overall conference records. For example, three teams, Utah, USC and Washington State, are tied for third place in the Pac-12 with identical 6-3 conference records, followed by UCLA at 5-4. The Holiday Bowl, picking third, can choose any of the teams with a 6-3 conference record, and can also choose a team like UCLA that is within one game of the others. The good news for my sister and Utah fans in general is that currently, regardless if Stanford is in the playoff or not, the Utes are predicted to be in Holiday Bowl by a good portion of websites such as CBS Sports, SB Nation and Fansided. The reason I say this is good for all fans is that the Holiday Bowl is a good bowl and San Diego doesn’t seem that far compared to the other bowls that Utah could potentially land in such as the Alamo Bowl in Texas. Also, who wouldn’t want to spend at least part of the holidays watching a football game and then relaxing on the beach afterward? Only the future will tell us where Utah will be going for sure, but the Holiday Bowl doesn’t sound like a bad location to me. Meanwhile in basketball, the Runnin’ Utes returned home on Black Friday to face Idaho State for their first game since playing in Puerto Rico. 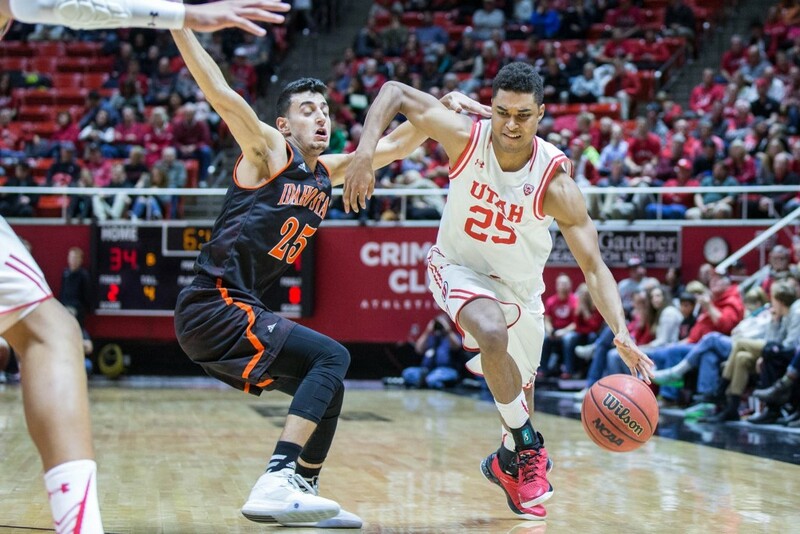 At the beginning of the season, I had high hopes for Utah and I still do as the Runnin’ Utes are now 5-1 on the young season after thumping the Bengals, 102-72. The most impressive thing is that despite the obvious star in Jakob Poeltl, Utah is not a one-horse team. The most notable thing about this team right now is that anyone can score and play defense and they are at their best when the points are spread around to the entire team. I have been listening to the talk while in the arena and in other places and most people seem pretty pessimistic about this team — though I have no idea why. Sure, the Runnin’ Utes took a couple of games to shake the rust off, but after Friday night’s game, it is obvious that they are getting ready to go. We will see for sure how good this team is on a national scale as they get ready to face tests like BYU this week, with Wichita State and Duke in the coming weeks. But despite what the current rankings or sport commentators say, Utah should be the team to beat in the Pac-12. If you don’t believe me, come talk to me in March. Here’s hoping for a happy holiday season in the Holiday Bowl, and some signature wins on the hardwood in the coming weeks. Bleeding Red is a sports column with today’s offering written by Joshua Vance. The opinions expressed are not necessarily those of St. George News.